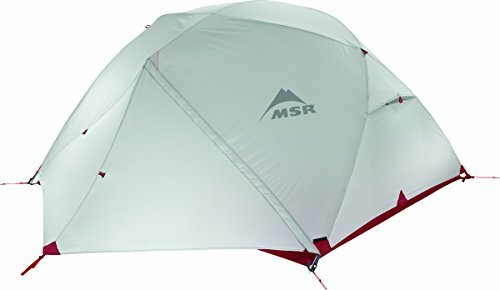 » MSR Elixir 3 Review (2019 UPDATE) | Does This Tent Hold Up? MSR Elixir 3 Review (2019 UPDATE) | Does This Tent Hold Up? MSR, or Mountain Safety Research, had humble beginnings in 1969 as a simple newsletter created for improving safety for mountaineers and backpackers. It wasn’t long before the newsletter took off and the founder ended up become a manufacturer of mountaineering gear. MSR has long been a trusted, reliable outdoor gear brand that is well-known for their tents. Tents in the 3P category tend to be overlooked for the more popular 2P and 4P models, but the Elixir 3 remains a popular choice for those needing a roomy 3 person tent. This tent is incredibly strong and impressively designed. 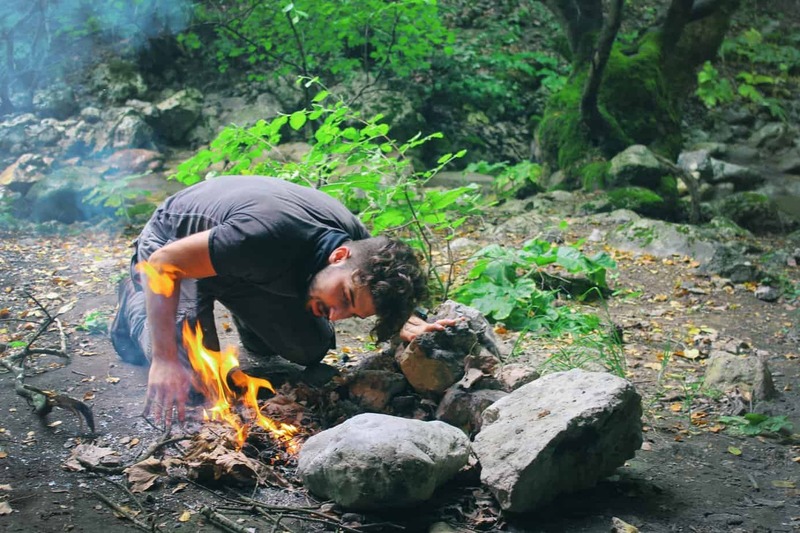 Not to mention it’s very reasonable price makes it quite affordable for many outdoor enthusiasts like backpackers or camping trip enthusiasts. If you want more space than a 2P backpacking tent but not the weight of a 4P tent, the Elixir 3 is a wise choice to go with. The Final Word: Does the Elixir 3 Deliver? With the details of the tent design out of the way, let’s get into some reasons why the Elixir 3 backpacking tent is so highly rated for mountaineering. There are a lot of reasons why backpackers customers love their Elixir 3 tents, but they can be summed up in these four major advantages. Regardless of brand names or how the tent design looks, the real test of any shelter’s worth is whether it can stand up to what Nature throws it’s way while mountaineering. One of the most impressive, and important, advantages of the Elixir 3 is its ability to handle a range of poor weather without failure. This is a 3 season tent so you shouldn’t expect it to handle very cold weather or snow, but it can deal with winds, rain and chilly nights very well. This tent also has a good ventilation design, so warm, humid days shouldn’t be very much of an issue. If things get warm you can easily remove or pull up the rainfly sides while still having protection from bugs and debris thanks to the micro-mesh canopy. The rain fly and floor can take on severe downpours without a leak. The floor is 70D coated nylon, and designed with a bathtub-style construction so leaks are nearly impossible. The rain fly is a rugged 68D DWR-coated ripstop polyester that is tough enough that some customers experienced some hail without a problem. The rainfly is strong enough that winds won’t blow in the tent sides or blow through the fabric, leaving you chilly. The Elixir 3 is incredibly well-priced for everything it offers. Going by quality alone, and plenty of storage space, MSR could have easily priced this model at minimum $100 more (check this listing for the latest live prices) and it still would be an excellent value. If you’re on a tight budget and really need the most bang for your buck, the Elixir 3 durable tent will leave you very happy on your backpacking or camping trip. The combination of strength against weather, overall size, and careful design are more reminiscent of an expensive technical alpine tent than one in its actual price category. Even though it’s only a 3 person capacity tent, the Elixir 3 backpacking tent is quite comfortable to stay in. Chances are you’ll probably only be sleeping in your tent, but if you end up stuck inside because of rain, you’ll like the extra storage space this model offers. The total floor area is almost 40 sq ft which is ideal for 2 people with their gear, or 3 adults if they don’t mind it being cozy. The peak ceiling height is almost 3.5′ tall, plenty of space for the average adult to sit and move comfortably in. The doors are also fairly large so getting out isn’t a hassle. The Elixir 3 backpacking tent was designed with a unique geometric pole design which is why it seems roomier than it is. This durable tent design also allows for two normal 25″ wide sleeping mats to be used. Trying to pitch a tent in windy or rainy weather is far from ideal but the Elixir 3 does very well in these situations. This tent is completely freestanding and easy enough to erect that one person can do it without an issue. The aluminum poles are unlikely to bend and are color-coded to the clips so you know exactly where it goes. This color-coding means you could probably figure out how to setup this tent without instructions. Once you are familiar with the tent, the colored poles, clips and webbing also help with setting up at nighttime. In very windy weather you may want the help of a partner, but otherwise you probably won’t have an issue. The design of this tent also means you can set it up without getting rain inside while mountaineering of backpacking, which is obviously very handy. Despite being a solid all-around tent, the Elixir 3 isn’t without its faults. As difficult as it is to find bad reviews on this model, these two disadvantages are the most commonly cited ones. The most common complaint about the Elixir 3 is its weight. This is not a lightweight tent. While it breaks down to a fairly compact size, it still comes out weighing heavier than other models. Full packed weight is over 6lbs, which is a couple pound heavier than many backpacking-style tents. Minimum trail weight is still 5lbs which is an improvement but not helpful if you’ll be in potentially bad weather and need all the protection this model offers. That being said, unless you’re a light or ultralight backpacker or don’t have much storage space on your pack, chances are the extra weight won’t be too much of a concern for you. Car campers or those that will only be hiking a short distance to their campsite probably will hardly notice the extra weight of this model. It’s obvious that tents get dirty and will be exposed to mud, dirt and general grime. A fabric that is resistant to stains isn’t usually a huge concern but it is worth noting that the materials and fabric used on the Elixir 3 aren’t going to stay looking fresh forever. The trouble seems to be because of the white color fabric, which looks nice and is a pleasant change from typical options but also shows stains more easily. However, the tent is easy to clean off and even if a stain is left, this is more of a visual downside than structural in any way. MSR (Directly): MSR actually has a great online store. I always like buying direct when I can, as it’s the easiest to service for support / lifetime guarantees, etc… You can find the Elixir 3 available at this listing. Via REI: REI Co-op is one of my favorite places to check for gear. The Elixir 3 seems to be well supplied here. What’s more, REI members receive about $30 as a dividend if they buy here. 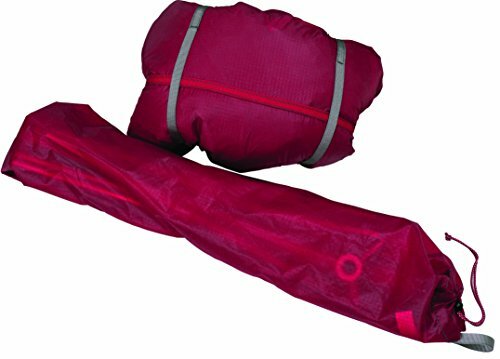 Overall the Elixir 3 backpacking tent is an excellent tent in nearly every way. Even though it weighs a little more than other tents in its size category it is still compact and ideal for most camping situations. Its overall toughness and ability to withstand very harsh weather without tears or leaks make this model a very valuable, reliable shelter. Bottom Line: For being priced at under $300 (check this listing for the latest live prices), you really don’t want to pass up this model if you’re looking for a 2 or 3 person tent for mountaineering that can handle weather extremes throughout three seasons.